Life can change very profoundly in just a matter of moments. If you were no longer here tomorrow, what would happen to your children, your pets, and your estate? Would your children be placed in the custody of a person whom you would trust to raise them? Would your assets and money be divided in an equitable manner, just as you would have wanted? Or would your passing result in a legal tug of war as family members argue and fight over what was once yours? It’s hard to think that we will one day face the inevitable. But when you plan for the unexpected with a last will and testament, you will gain tremendous peace of mind knowing that your final wishes will be known to your loved ones. At The Law Offices of Thomas J. Lavin, our West Palm Beach lawyers are available to assist with preparing a will and handling other issues, such as contesting a will, creating a living will, or revising and updating a will and testament. Our experienced legal team understands that making a will is an emotional process for many individuals, so we take a caring, compassionate approach as we work with our clients to help ensure that this important legal document accurately reflects your wishes. If you’re seeking a lawyer for wills, trusts and other important legal matters, contact The Law Offices of Thomas J. Lavin today to obtain a free and confidential consultation. Call 561-557-4546. 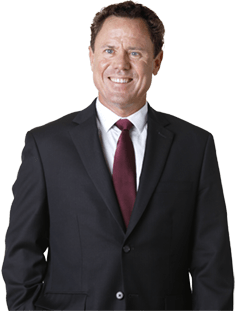 West Palm Beach natives turn to the experienced legal team at The Law Offices of Thomas J. Lavin for help with creating a will and testament, but many begin the process with lots of questions. So our legal team has compiled answers to some of the most common questions about last will and testaments and how to write a will. Determine how debts, taxes, and other outstanding bills will be paid. More complex issues, such as adding conditions (i.e. “my daughter can receive my home after she turns 30”) or designating assets to allow for the care of a pet may be better addressed by creating a trust. Your attorney can provide you with information on whether a last will and testament or a trust will be more suitable for your needs. An attorney can help you draft a will. Once it’s complete, you will sign the document in the presence of witnesses, who must also sign. In the case of a self-proving will, the witnesses must sign in the presence of a notary in the State of Florida. If you wish to register the will with the courts or public records, this is generally possible, but it is not currently required in Florida. You retain the right to alter your will at any time. How is a Last Will and Testament Different From a Living Will? A last will and testament is different from a living will in terms of scope and function. A last will and testament goes into effect at the time of death. A living will is different, and as the name implies, it is effective during the individual’s lifetime. A living will – a form of advance directive – addresses your wishes in the event that you become seriously ill and are unable to make decisions concerning your care. For instance, in a living will, you may indicate whether you wish to remain on life support. A living will can relieve your loved ones of the burden that they would experience while making incredibly difficult life-and-death medical decisions on your behalf. When considering wills and trusts, there are a number of differences. Wills are subject to probate whereas this is not a necessary condition of a trust. A trust also allows for more complex arrangements. For instance, if you wanted to add conditions to the distribution of certain assets or money, you could achieve this with a trust. Similarly, if you wanted to leave real estate and money to allow for the continued care of your horse (or other pets) after your death, you could achieve this by establishing a trust. Trusts also allow you to address matters that may become relevant if you are incapacitated. The Law Offices of Thomas J. Lavin can help you decide whether you will be best served by a last will and testament, a trust or both. A will executor is a person who is appointed to tend to loose ends, such as lingering financial obligations, after an individual’s passing. The executor may also oversee the process of locating assets and ensuring that they are distributed in a manner that’s consistent with the decedent’s will. An executor of a will can be an attorney, a party selected by the courts, a close friend or a family member. It varies dramatically from state to state. What Does it Mean to Probate a Will? To “probate a will” refers to processing an individual’s estate and last will and testament through the probate courts. Through probate, the decedent’s assets are formally distributed. 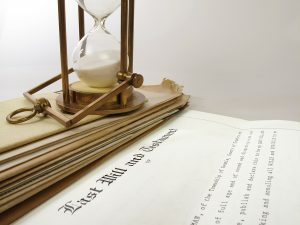 Determining whether a will must go through probate (also termed “formal administration”) can be rather complex, so it’s best to consult an attorney who can evaluate your unique situation. In Florida, probate may not be required (in what’s known as “summary administration”) if the death occurred over two years ago or if the total value of the estate is less than $75,000. Florida law requires that a person who is in possession of a will must file the document with the local circuit court within ten days of being informed of the individual’s death. At the end of the probate process, the court will be provided with evidence that all assets were distributed properly and the estate is closed. Probated wills may be involved in the courts for anywhere from 6 to 12 months or more. You never know when life can take a dramatic and unexpected change, but writing a will gives you peace of mind knowing that your wishes will be known even after you’re gone. Making a will can be an emotional process, but when working with an experienced will attorney, you’ll find that the process is fairly straightforward. If it’s time to start planning for your future and you would like to write your final will and testament, contact the legal team at The Law Offices of Thomas J. Lavin. We’re here to discuss your needs in a free and confidential consultation session. Call 561-557-4546.